KSC – Water and Wastewater Systems – RUSH, Inc. RUSH completed the Upgrade KSC Water and Wastewater Systems, Phase 2 project in August 2011. The overall scope of the water system improvements for this project included the installation of a water quality analyzer, twenty seven (27) facility water meters, nine (9) in-line gate valve assemblies in the 24-inch water main along Kennedy Parkway, an above-ground hydraulically actuated pressure control valve assembly, an above-ground weighted swing type 18-inch check valve assembly, and the extension of a 12-inch water main along A Avenue. In addition to the water system improvements, RUSH performed wastewater improvements including the replacement of two (2) lift stations in their entirety and the refurbishment of two (2) existing lift stations (to include the re-lining of the existing wet wells, new pumps, piping and valves, controls, and associated electrical work). 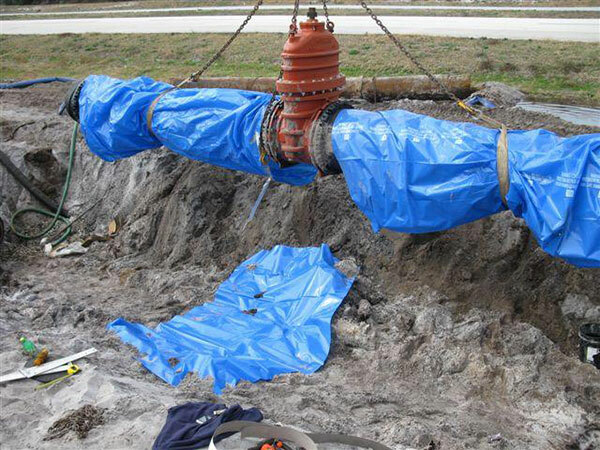 The work activities associated with this contract required precise coordinated outages in the water and wastewater distribution system throughout the KSC Industrial and LC-39 VAB Areas. The coordinated outages for the work associated with this contract were performed during the weekend hours under tight time periods to facilitate the client’s operational constraints.